Posted by gorky on on Jan. 15, 2012, 12:20 p.m.
Then we went for our famous Bike Ride!!! We rented out the bikes from the shops opposite to Kutumbari. 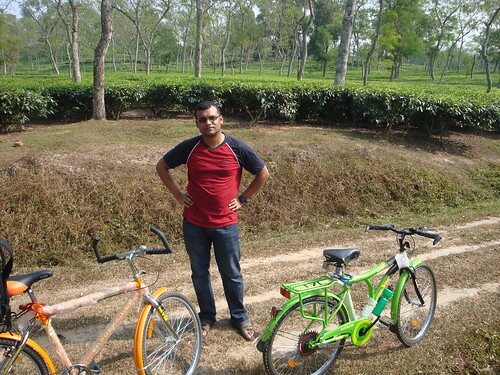 And guess what, we rode off for having the famous 7 color tea in the Cantonment Area. I am marking the place for renting out bikes, as a lot of people might be interested in renting out bikes. I know. The secret is, it just takes around three hundred taka to rent out a bike and they give brand new bikes.